Hello, everybody. 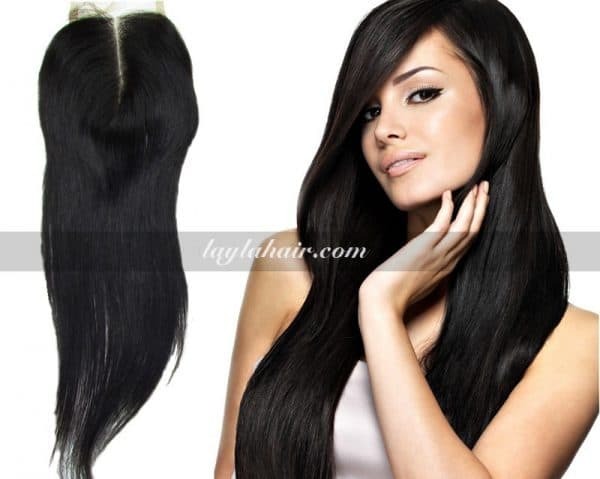 Dear Layla Hair’s customers and also any lady, girl and even gentleman who are using human hair extensions! How do you feel about our product? Are they good? We have received a lot of positive feedback, but some customers still wonder the quality of hair extension. IN FACT, the problem is NOT in the quality of them, but in the way how you care for them. Each type of hair extension has one different care. Day by day and step by step. Today, I will share with you Vietnam Hair Care Tips. Just like your natural hair, Human Hair Extensions require a proper and thorough care. And Vietnam human hair extensions is also a type of human hair extension, so they need to be care carefully. First of all, What is Vietnam Human Hair? They are hair collected from Vietnamese women. Each bundle of hair is collected from a distinct donor. They can be remy, virgin or raw hair which has been not processed by chemical or heat treatment including curling, ironing,.. or dyed. Their hair have intact cuticle and flow in the same direction from root to the tip. Vietnamese women’s hair is well-known for their smoothness, softness and silkiness. Besides, the reasonable thickness of them is suitable for many customers. In order to own great hair, Vietnamese women have special hair care. They don’t use chemical hair shampoo, but the hair shampoo made from natural material. 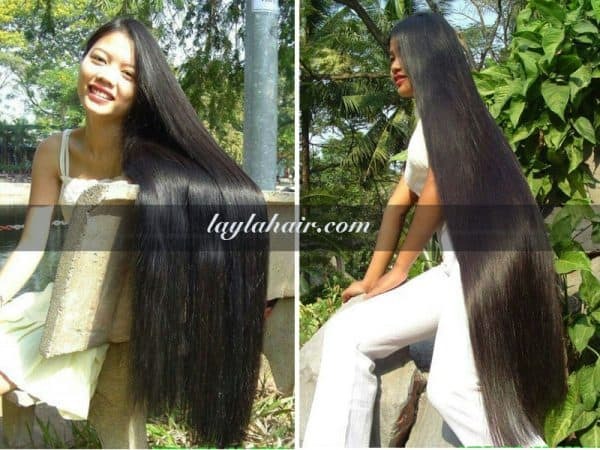 So, Vietnam hair extensions Layla Hair supply for you is really 100% pure raw, 100% Remy virgin hair human hair. So as to maintain the outstanding features of Vietnam Human Hair Extensions, you need to know the best way hair care. Now, I don’t want to make you wait for me for a long time. Let’s go! There are two hair care tips you need to remember. Be gentle, though, so that you don’t loosen your extensions. Being too rough with them will make them last as long. Use a moisturizing formula shampoo. Sulfate are the cleaning detergents in shampoos that cause them to foam, but they can dry out your hair. Your head skin constantly create new oils not to dry your natural hair, but your hair extension is not. Sulfates can cause split ends to form in your hair and make them look dry or frizzy over time. The conditioner will protect cuticle layer of each strand of hair. All day, the cuticle layer gets damaged, leaving your hair looking limp and coarse, so you should use a leave-in conditioner on them during the day especially if you have braids or curly extensions. Don’t wash your hair extensions every day. Just like your natural hair, they’ll be dried out if you over-wash them. Use the conditioner on days that you don’t wash your hair. If you have thick and dry hair and don’t use too much product, don’t need to wash frequently. Someone with thin, oily hair who styles it daily may wash more times if need. Before you go to bed, don’t let your extension be wet. Your movement in your sleep can make the tangles in your extensions get stuck and pull on your natural hair and damage it. Besides, mildew and an unpleasant odor will develop if you don’t make your extension. Make all your hair dry completely by hair-dryer or wind naturally. Use a paddle brush and brush gently. Brush your extensions every day to smooth them out and give them a healthy gloss. Mix some of your favorite essential oil with some water in a spray bottle. Often bring spray bottle throughout the day and spray your extensions to humidify them. Coconut oil and rosemary oil are great to use on your hair, but another oil types is OK if you enjoy. Heat protectant spray adds moisture to hair and help your hair avoid being dried out. Heat protectant spray makes a shield around the cuticle of a hair strand and allows it to keep its lustre. Chlorine in swimming pool and salt water in sea can damage you hair. Wash your hair immediately after swimming by clean water. Replace your sewn in hair extensions every two to three months. If you keep them in longer, the hair growing underneath them will come in matted. You can keep a clip in hair extensions as long as they look healthy and keep their shape. Preserve your clip in hair extensions in a breathable material like cotton to maximize how long they can last. I sure that your Vietnam human hair extensions is more durable and always as good as original Vietnamese hair if you apply above hair care tips exactly. Now, call at Layla’s website or contact us by whatsapp. Thank you for your concern!